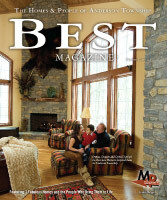 Click here to check out Housetrends' project summary and here for the full article. 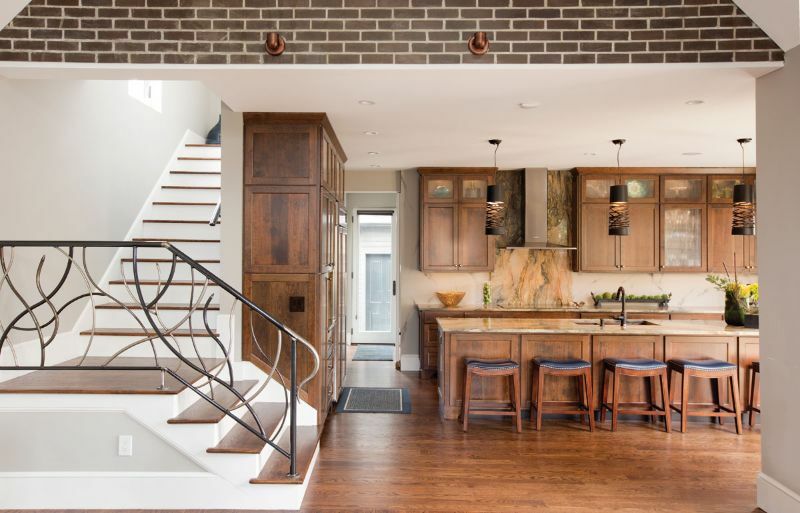 A couple living in the German Village of Columbus, OH embraces city living by transforming a 19th-century cottage into a modern masterpiece — complete with an elegant entry and sculptural metal staircase by Elegant Iron Studios. 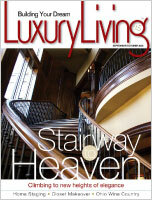 Click here to check out the article! 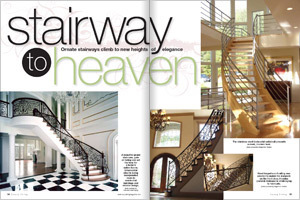 Cincy magazine approached us about some of the design trends we were seeing and construction materials we were using in our railings. 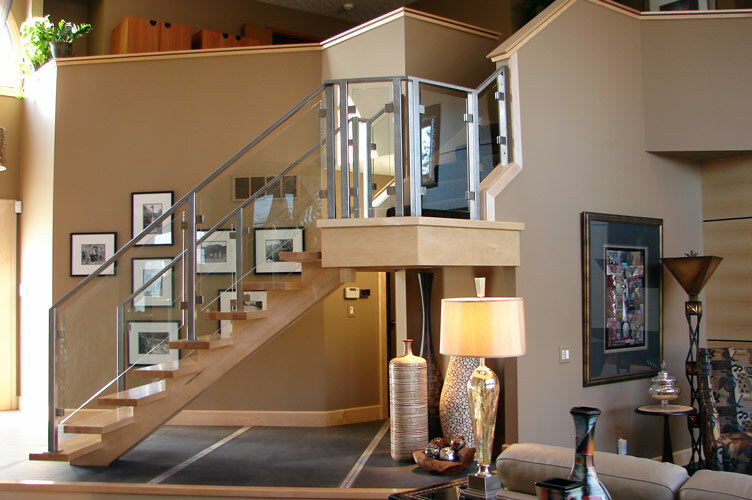 Check out this article to get some insight into the evolution of interior residential stainless steel and glass railings, stainless cable railings and artistic contemporary railing designs in the Cincinnati, OH area. 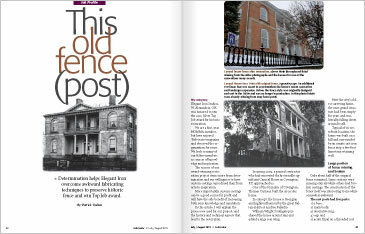 View the article. 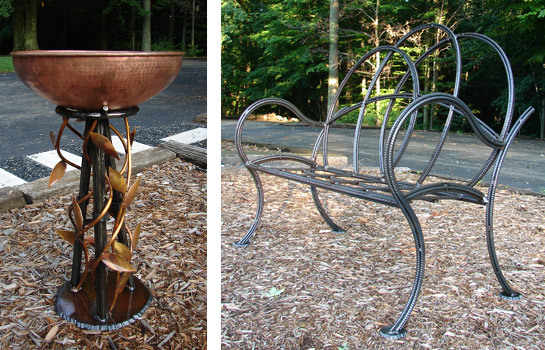 If you are interested in ordering an Extreme Bench or Bird Bath, please call Elegant Iron Studios at 937-696-1010 with your name, telephone, product you are interested in, quantity, and address, and we will return your call as soon as possible. 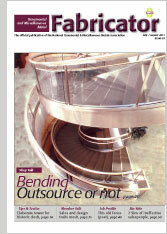 You can also email us at email@elegantiron.com. 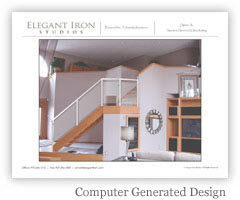 ELEGANT IRON WINS TOP JOB AWARD! In March, Elegant Iron Studios won the Silver Award for Outstanding Craftsmanship in an international competition open to more than 700 member companies in 13 countries. 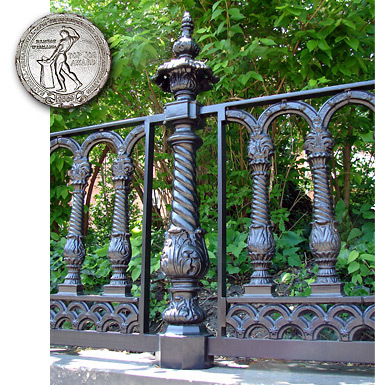 The competition was sponsored by the National Ornamental & Miscellaneous Metals Association (NOMMA) and highlighted Elegant Iron's work replicating an historic iron fence at the nearly 200-year-old Carneal House in Covington, KY.
Our client knew he wanted something unique for the railing in his Columbus, Ohio home. 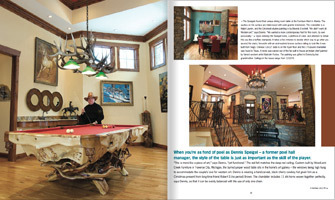 An avid art collector, Bill Bird saw our Sculpture RailingTM in a magazine and immediately contacted us. 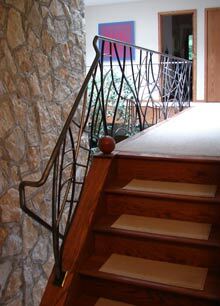 “It was a free form contemporary style railing that is similar to the one that I have been trying to find someone to construct for several years. I am very interested in discussing this with you”, his email anxiously declared. 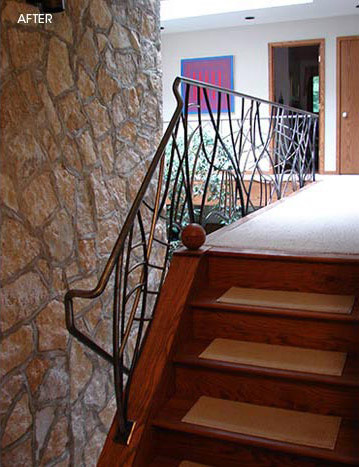 Patrick, owner of Elegant Iron Studios, always visits our clients personally for consultation, and when he met with Bill, he knew this client was passionate about art and wanted something very special…a railing inspired by French painter and sculptor Jean Dubuffet. 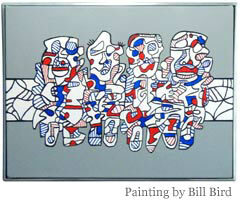 For more on Dubuffet, visit Artsy and Wikipedia. The best part was a rather large package that arrived at our studio a few weeks later. 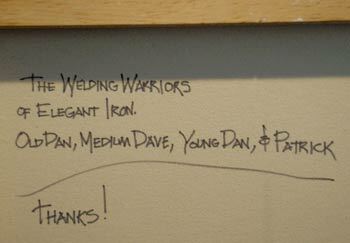 Bill Bird paid homage to Elegant Iron Studios and the work of Dubuffet by painting a thank you portrait of the “welding warriors” in front of his artist inspired railing. 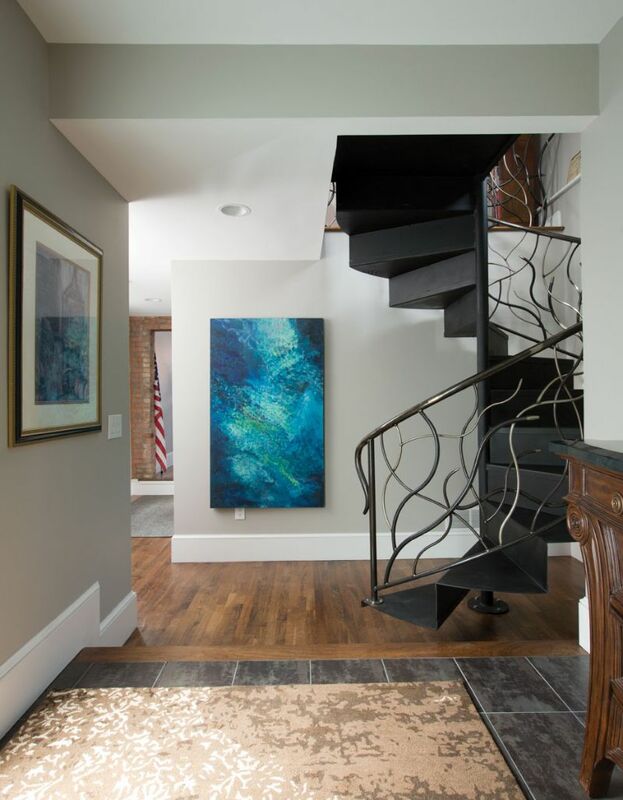 We are incredibly honored that our client would make such a thoughtful gesture, and proudly display this painting in our showroom. 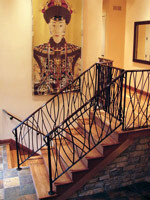 Would you like us to design an artist inspired or unique railing for your home? Please contact us and we’d be happy to set up a consultation. 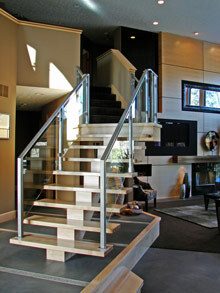 Recently we completed this custom glass and stainless steel railing project in Centerville, OH. 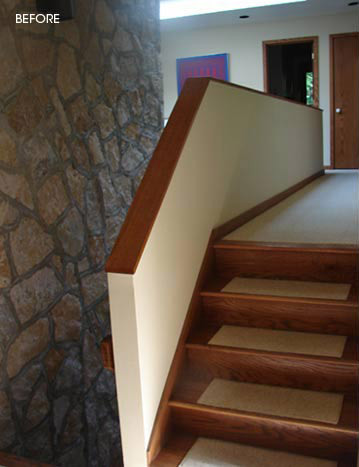 The client had been doing an extensive remodel and called on us to complement their contemporary style. After their first consultation, we created computer generated designs so they could actually see what they would be getting, as well as show them different options. 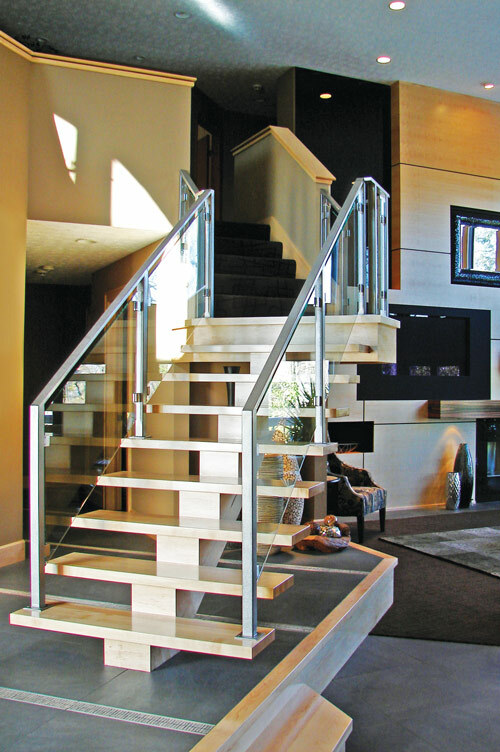 Working with their contractor and interior designer, we fabricated the perfect railing to take advantage of the natural light in the room while also creating a sleek focal point. 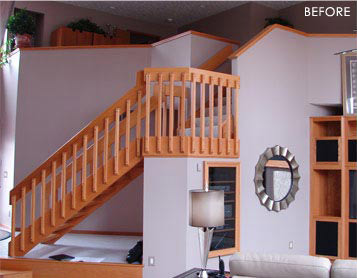 Check out the dramatic transformation! 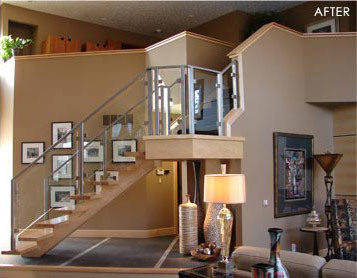 Are you interested in doing railing like this in your home? Contact us.